The Flamingo Project focuses on data cleaning, i.e., how to deal with errors and inconsistencies in information systems. As an example, in many applications such as data integration, commercial organizations need to collect data from various sources to conduct analysis and make decisions. Often, the data from these different sources can have inconsistencies. For instance, we use first name, last name, SSN, and birthday to identify a person. However, the same name, e.g., "Schwarzenegger", may be misspelled as "Swarzzengaer" or other forms. Such errors make it more challenging to link records from different places and answer queries approximately. We are developing algorithms in order to make query answering and information retrieval efficient in the presence of such inconsistencies and errors. With the NSF award IIS-0844574, we plan to study the following problems. Supporting fuzzy queries is becoming increasingly more important in applications that need to deal with a variety of data inconsistencies in structures, representations, or semantics. Many existing algorithms require an offline analysis of data sets to construct an efficient index structure to support online query processing. Fuzzy join queries of data sets are more time consuming due to the computational complexity. The PI is studying three research problems: (1) constructing high-quality inverted lists for fuzzy search queries using Hadoop; (2) supporting fuzzy joins of large data sets using Hadoop; and (3) using the developed techniques to improve data quality of large collections of documents. With the NSF award 1030002, we will study how to support powerful keyword search with efficient indexing structures and algorithms in a clouding-computing infrastructure. A main application is supporting family reunification in disasters such as the Haiti Earthquake. Check our portals for the Haiti Earthquake and Chile Earthquake. The main challenge is how to use limited programming primitives in the cloud to implement index structures and search algorithms. Our qSpeller project page for the Microsoft Speller Challenge. (1/13/2013) Our DASFAA 2003 paper titled "Efficient Record Linkage in Large Data Sets" received the 10-year Best Paper Award for DASFAA 2013. It was my first paper in the area of data cleaning and approximiate string search in the context of the Flamingo project. (2/2012) We are glad to release version of our Flamingo Package on approximate string matching. (7/2011) Our team won the third prize at the Microsoft Speller Challenge. Here is our project page. (4/22/2011) Chen Li gave an invited talk titled "The Flamingo Software Package on Approximate String Queries" at the DQIS 2011 workshop in Hong Kong. Here is the Powerpoint file. (10/2010) Out paper titled "Answering Approximate String Queries on Large Data Sets Using External Memory" has been accepted for publication in ICDE 2011. (9/2010) Our paper titled "Supporting Location-Based Approximate-Keyword Queries" has been accepted for publication in ACM SIGSPATIAL GIS 2010. (3/2010) We are glad to release the third version of our Flamingo Package on approximate string matching. (3/2010) We are glad to release the source code of our SIGMOD 2010 paper titled "Efficient Parallel Set-Similarity Joins Using MapReduce"
(3/2010) We are glad to release two Fuzzy Keyword Search on Spatial Data demos. (3/2010) We are glad to receive an NSF award 1030002 to support research on powerful keyword search with efficient indexing structures and algorithms in a cloud-computing environment, especially in the domain of family reunification in disasters such as the Haiti Earthquake. (2/2010) Our paper titled "Efficient Parallel Set-Similarity Joins Using MapReduce" has been accepted by the SIGMOD 2010 conference. (2/2009) We are glad to receive an NSF award IIS-0844574 from the NSF CluE program to support our research on large-scale data cleaning using MapReduce/Hadoop environments. In addition to receiving the NSF support, we will also use software and services on a Google-IBM cluster to explore innovative research ideas in data-intensive computing. (11/07/2008) We updated our Flamingo Package (2.0.1) for compatibility with the latest GCC version (4.3.2). 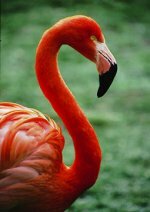 (10/14/2008) We are glad to release the second version of our Flamingo Package on approximate string matching. (10/14/2008) We are glad to release the Flamingo Toolkit that contains UDF functions for MySQL. (4/1/2008) We are glad to release the PSearch Prototype to support interactive, fuzzy search for UCI Directory. (4/17/2007) We are glad to release the first version of our Flamingo Package on approximate string matching. We present a solution to support Fuzzy Keyword Search on Spatial Data. Guoliang Li, spring of 2008, visitor from Tsinghua University, China. Jiaheng Lu, postdoc, 2006-2008. Now a faculty at Renmin University, China. Alexander Behm, Chen Li, Michael J. Carey. ICDE 2011 (accepted for publication). Efficient top-k algorithms for fuzzy search in string collections. Xiaochun Yang, Bin Wang, Chen Li. Chen Li, Jiaheng Lu, and Yiming Lu. Liang Jin, Chen Li, and Rares Vernica. VLDB Journal 2007. It's an extended version of the SEPIA paper in VLDB05. Chen Li, Bin Wang, and Xiaochun Yang. Nick Koudas, Chen Li, Anthony Tung, and Rares Vernica. Liang Jin and Chen Li. Liang Jin, Nick Koudas, Chen Li, Anthony K.H. Tung. Liang Jin, Nick Koudas, Chen Li. EDBT 2004, Heraklion - Crete, Greece. Liang Jin, Chen Li, and Sharad Mehrotra. 8th International Conference on Database Systems for Advanced Applications (DASFAA) 2003, Kyoto, Japan. Received 10-year Best Paper Award for DASFAA 2013. World Wide Web Journal, Volume 9, Number 4, pages 557-584, December 2006. This journal article is an extended version of the DASFAA03 paper. Acknowledgements: This release is partially supported by the NSF CAREER Award No. IIS-0238586, the NSF award No. IIS-0742960, the NSF award IIS-0844574, the NSF award 1030002, the NSF-funded RESCUE project, the NIH grant 1R21LM010143-01A1, a Google Research Award, a gift fund from Microsoft, a research grant from Amazon.com to allow us to use their MapReduce cluster, and a fund from CalIt2. Many thanks to Minh Doan and Kensuke Ohta for their valuable testing and feedback on the code and documentation.